The 2000 NASCAR Winston Cup season, to me, was an extremely interesting year. It had everything: a strong rookie class, equal competition (i.e. close races), new body styles, first-time race winners, and even a first-time Winston Cup champion. 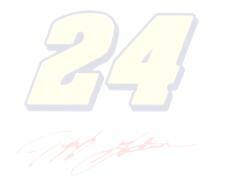 Even though Jeff Gordon did not have an average season according to his standards, I still enjoyed the season immensely. Matt Kenseth and Dale Earnhardt Jr. kept the Rookie of the Year race interesting, and both candidates definitely earned the title. They showed a lot of experience from what they had learned from their mentors (Matt Kenseth's mentor was Mark Martin & Dale Jr.'s was his father, Dale Sr.). And the points race was pretty exciting also, even though the same driver led for a large majority of the season. The championship wasn't clinched until after the race at Homestead. There were many exciting races also. The closest race was in Atlanta in March when Dale Earnhardt barely edged out Bobby Labonte for the victory. The 2000 season also brought many new variables into the race-weekend equation. Among these changes were a new body style and a new Goodyear tire for some tracks. This combination basically forced veteran teams to throw away their old car setups and notes because of the changes in the new body and tire. Some drivers just could not get the "feel" for the track sometimes. That certainly made things interesting. Another factor in the 2000 season that made things interesting was first-time winners, both race winners and Winston Cup Points Championship winners. There were four first-time race winners, and two were rookies. These four were Dale Earnhardt Jr. (rookie), Matt Kenseth (rookie), Steve Park, and Jerry Nadeau. Earnhardt Jr. won at Texas, Richmond (May), and Lowe's Motor Speedway (the Winston); Kenseth won at Lowe's Motor Speedway (Coca-Cola 600 in May); Park won at Watkins Glen; and Nadeau won the season finale in Atlanta. Bobby Labonte won his first Winston Cup championship and that gave Joe Gibbs his first Winston Cup championship also (Gibbs owns the #18 of Labonte and the #20 of Tony Stewart). Labonte led the points race for a large portion of the year, but never by a comfortable margin. Without further ado, here are the 2000 Winston Cup results!